More important, the buying mood also was apparently brighter, as numerous exhibitors said they had their best sales figures in years. "Exhibitors have reported a very strong show," Efrem "Skip" Zimbalist III, CEO of Show Management, the company that manages and produces the show, said in a statement. 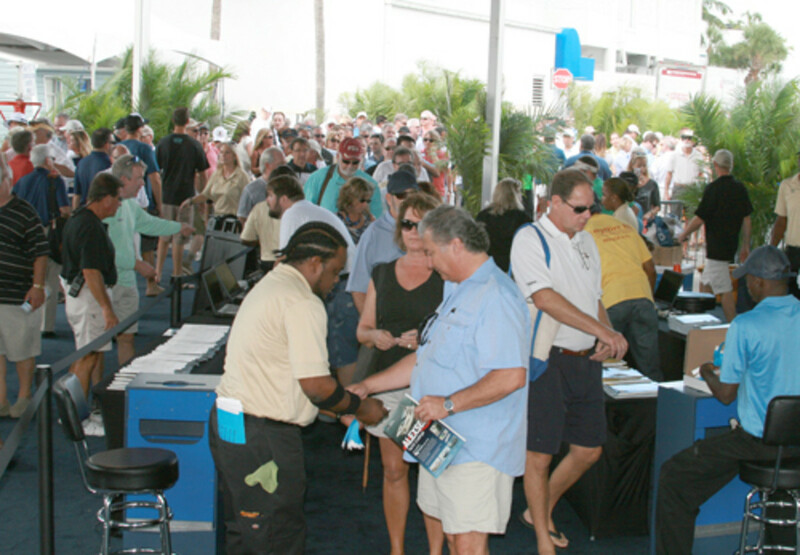 "The commitment made by the Marine Industries Association of South Florida and Show Management to bring enhancements to our exhibitors and guests, coupled with fantastic weather and confident buyers, made for a very successful weekend." One notable category of growth came from a 15.9 percent increase in the number of boats under 80 feet on display, a very important market sector. This year saw the largest number of boats under 80 feet ever on display at the show, according to Show Management.